This is simple but for some it can be unclear if you have successfully submitted an assignment to your course. Check the course outline for the assignment instructions and your professor. Every professor has their own preference on the file type required for each assignment. The file types are: Text Entry, Website URL, Media Recording and the one we all know and love Uploading a File. Most professors prefer that students upload a file for their assignment. Let’s start with uploading an assignment file. Login to q.utoronto.ca and get into your course. 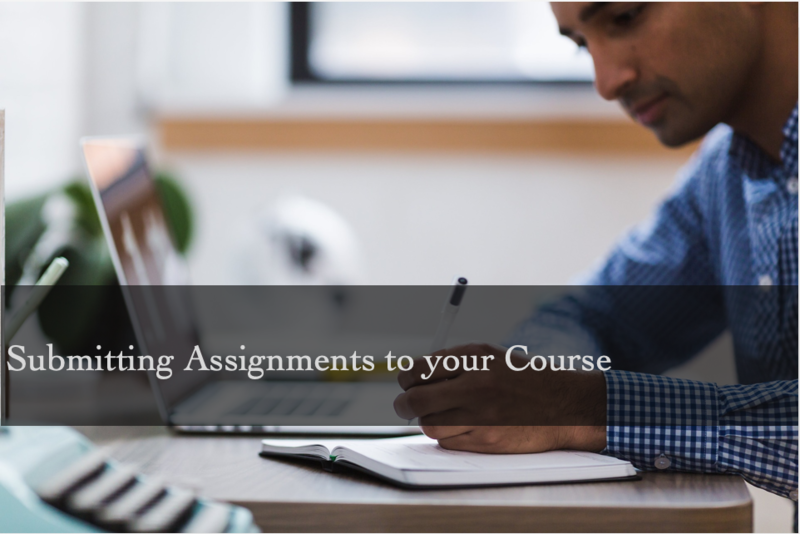 Click on Assignments in the course navigation. 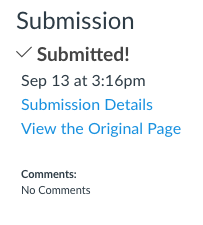 At the top right corner, you will find a blue ‘Submit Assignment’ button. Before you start, read the assignments instructions in the course outline. The instructions should let you know what file format should be submitted . (e.g., .docx, .pdf, .xlxs). It’s also a good idea to look in your Quercus course at the top of the Assignment page where it goes over the assignment details. When submitting a file, a key thing to look for is ‘File Type’. Some instructors have a specific type of file(s) they want. After you know the file type, finish your assignment! Choose your file from your computer and submit. I recommend taking a screenshot of this page so if you have any trouble you can refer to this submission notification. 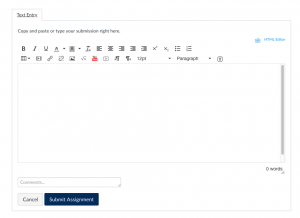 Canvas: How do I submit an online assignment?